Odds are you have more than 250 songs in your music collection, but you still want them all at your fingertips, because you never know when a romantic moment or a boring subway outage or a spontaneous office dance party will occur. We get this, which is why we give you the power to move 250 songs in and out of our cloud storage and into your listening queue whenever you like. 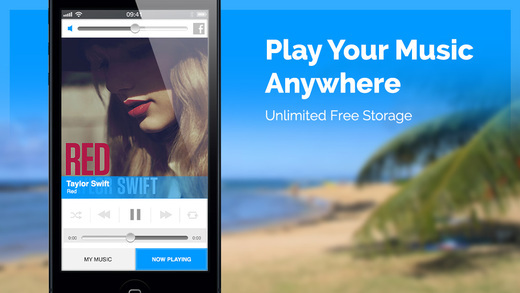 It’s always completely free to store all your music at MyMusicCloud. You can take advantage of our service and enjoy access to 250 songs at a time, or upgrade to our Unlimited membership for just $40 / year (less than the cost of 1 latte a month). First, import your music collection into MyMusicCloud with our automatic sync agent (See “How to Import Your Music“), so you can listen to them on any computer, tablet, Smart TV or mobile device, regardless of operating system, with our app. 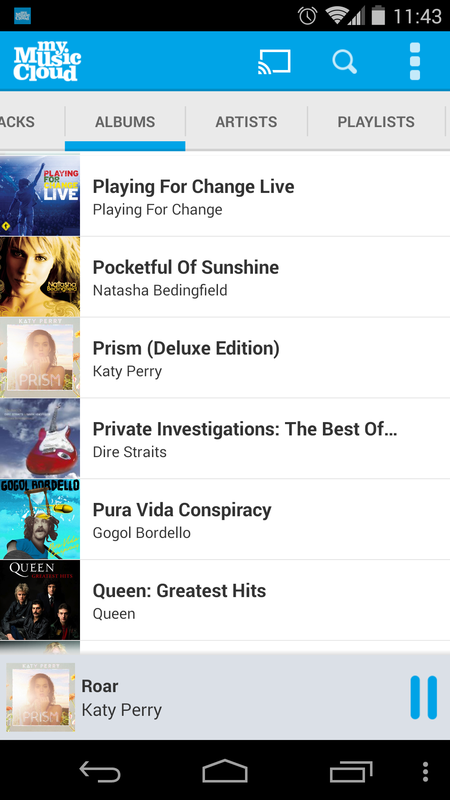 If you already have 250 songs in rotation, you’ll need to free up space by clicking the Playable tab, hovering over any track and clicking the ” – ” icon to send it to the cloud. 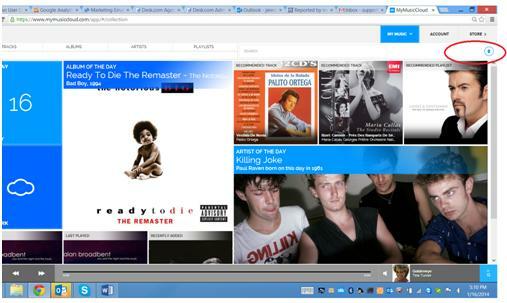 To make any cloud-based song playable, simply press Cloud, hover over a title and click the “+” icon to the right. That’s all it takes to refresh your playlists. To see more “How to” posts like this one, simply type “Help” in the search field in the upper right corner of this blog. Happy listening. If you have a Smart TV, you already know you can log into Facebook and Twitter, watch YouTube videos, and stream movies on your TV screen. But did you know that you can also access your entire music collection on it too? It’s totally true. Our MyMusicCloud app makes your music library available on all Samsung Smart TVs (the most popular brand), so you can play your favorite songs, make party playlists, or check out the latest releases from your favorite singers right from the comfort of your couch. 1. Click the Smart Hub button on your remote control. If you don’t see the MyMusicCloud app on the front page of your Smart Hub, go to “Samsung Apps.” Press the down button to highlight the text box for searching, then use the voice controller to say the app name, or type it in with either a blue-tooth keyboard or your remote control. 2. 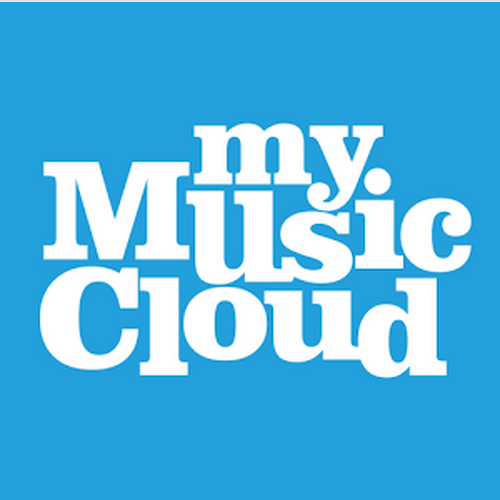 Once you see the MyMusicCloud TV app, click it. You’ll see a TV activation URL (format: www.mymusiccloud.com/XXXXX). The activation code is embedded in the URL; it’s the letters and digits after the ” / ” in the URL. Not sure what a Smart TV is exactly? It’s really any TV that has internet access built in so you can watch video on demand, use social networks and search the web. But only those branded “Smart TVs” have dashboards that can download apps from stores like Google Play (otherwise you’ll need a second device like Chromecast or a gaming console to reach your favorite apps). Check your TV manual for more details.